Do you love adventure? The feel of wind in your hair, the allure of the strange and the mystical, the excitement of taking off on a road trip or on a plane? We don’t blame you – life is there to be lived, after all. In fact, a good healthy adventure might even be good for your mind, body and soul. However, what if you are just as excited by the prospect of raising a young family? 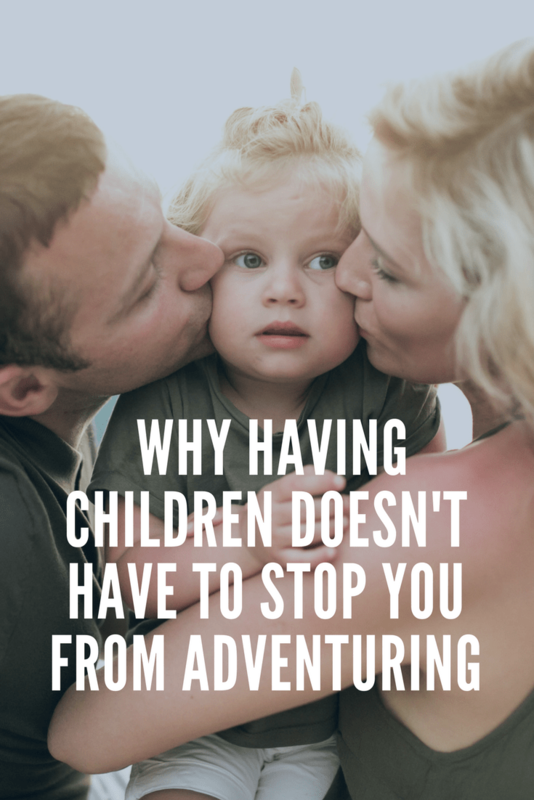 You may think that, once you have some kids, your adventuring days are long gone. Well, that’s not the case. Let’s check out how you can still enjoy family travel, have fun while raising children. Raising kids means that you may no longer be able to frequently fly off to exotic locations for a number of reasons. First of all, once they reach a certain age you need to buy them a ticket too, meaning the cost of flights rises. Also, young children can find long plane rides distressing and it can be quite hard to keep them occupied for more than a few hours. But never fear, invest in some convertible car seats for the family cars and you can take the kids on road trips with no worries. After all, you can explore the heck out of your own country and save those overseas jaunts for when the kids are a bit older. Did you know that you can bring your baby on a hike with you? No, you’re not reading that wrong. Thanks to baby hiking packs you can bring bubba along on your outdoor adventure. It means a bit of extra weight but you can always alternate carrying your little bundle of joy with your partner. You may want to consider smaller single day or overnight hikes however – you’ll want to be reasonably close to civilisation in case anything happens. Even when they’re quite young children are very observant. They’re like little sponges; absorbing everything and anything they see. Chances are that your kids are going to love taking a trip with you and will want to do it again. Also, when they grow up a bit and become more self-sufficient they will love it even more. Remember when you were a kid and were allowed to explore a beach or forest on your own? You’ll be able to pass that joy onto your own kids. The key to a successful getaway with the kids is preparation. Make sure you pack plenty of changes of clothes (especially if they’re newborns or toilet training), their favourite toys and games, an iPad or tablet for videos to keep them from getting bored and upset, healthy snacks/drinks and a blanket for nap time. Basically, you want to bring everything that you would give them at home. This can make packing a bit tricky, but it’s like a game of tetris – it’s all about making it fit. The trick is to make it fun. Invest in some convertible car seats for you and your partner, and make sure that you are prepared when packing. Consider taking your kids on a hike with you but remember that shorter is probably better. Don’t assume that your children will hate trips away – chances are that they will absolutely love it. But most of all, remember to enjoy yourself. Kids will pick up on your energy and you need to set a great example of how getaways can be fun for all. So what do you think? Is it time to plan an adventure? Perhaps you have some of your own tips to share on family travel? Please do leave a comment below.